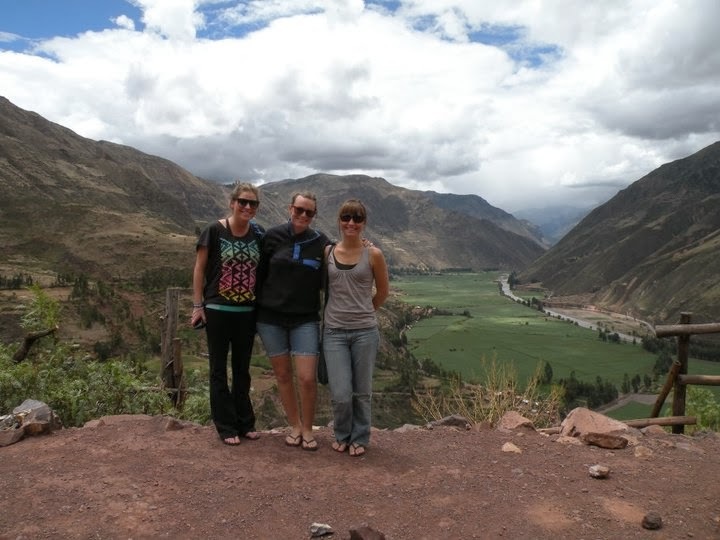 Alyssa, Laura and I ventured to Pisac, a small city about 40 minutes outside of Cusco. We took a taxi which ended up making our day. As we drove along listening to American pop songs and singing along with our driver we got to see breathtaking views. I can not get over the landscape here. Huge, very steep green mountains. Pisac was a wonderful small town in the valley between huge mountains.... it was great to get out of Cusco, we were starting to get cabin fever.